Essential NLP Tools, Code, and Tips - Get started with NLP here! In a previous article, we introduced the influential impact of natural language processing (NLP) in different industries and explained the way this discipline is reshaping several fields, yet facing huge challenges on its way. “Bag of Words” Is a commonly used model that allows you to count all words in a piece of text. Basically, it creates an occurrence matrix for the sentence or document, disregarding grammar and word order. These word frequencies or occurrences are then used as features for training a classifier. This approach may reflect several downsides like the absence of semantic meaning and context, and the facts that stop words (like “the” or “a”) add noise to the analysis and some words are not weighted accordingly (“universe” weights less the word “they”). To solve this problem, one approach is to rescale the frequency of words by how often they appear in all texts (not just the one we are analyzing) so that the scores for frequent words like “the,” that are also frequent across other texts, get penalized. This approach to scoring is called “Term Frequency-Inverse Document Frequency” (TFIDF), and improves the bag of words by weights. Through TFIDF frequent terms in the text are “rewarded” (like the word “they” in our example), but they also get “punished” if those terms are frequent in other texts we include in the algorithm too. On the contrary, this method highlights and “rewards” unique or rare terms considering all texts. Nevertheless, this approach still has no context nor semantics. Pretty simple, right? Well, although it may seem quite basic in this case and also in languages like English that separate words by a blank space (called segmented languages) not all languages behave the same, and if you think about it, blank spaces alone are not sufficient enough even for English to perform proper tokenizations. Splitting into blank spaces may break up what should be considered as one token, as in the case of certain names (e.g. San Francisco or New York) or borrowed foreign phrases (e.g. laissez-faire). Tokenization can remove punctuation too, easing the path to a proper word segmentation but also triggering possible complications. In the case of periods that follow abbreviation (e.g. dr.), the period following that abbreviation should be considered as part of the same token and not be removed. The tokenization process can be particularly problematic when dealing with biomedical text domains which contain lots of hyphens, parentheses, and other punctuation marks. For deeper details on tokenization, you can find a great explanation in this article. Includes getting rid of common language articles, pronouns and prepositions such as “and”, “the” or “to” in English. In this process some very common words that appear to provide little or no value to the NLP objective are filtered and excluded from the text to be processed, hence removing widespread and frequent terms that are not informative about the corresponding text. Stop words can be safely ignored by carrying out a lookup in a pre-defined list of keywords, freeing up database space and improving processing time. There is no universal list of stop words. These can be pre-selected or built from scratch. A potential approach is to begin by adopting pre-defined stop words and add words to the list later on. Nevertheless, it seems that the general trend over the past time has been to go from the use of large standard stop word lists to the use of no lists at all. The thing is that stop words removal can wipe out relevant information and modify the context in a given sentence. For example, if we are performing a sentiment analysis we might throw our algorithm off track if we remove a stop word like “not”. Under these conditions, you might select a minimal stop word list and add additional terms depending on your specific objective. “Stemming” refers to the process of slicing the end or the beginning of words with the intention of removing affixes (lexical additions to the root of the word). Affixes that are attached at the beginning of the word are called prefixes (e.g. “astro” in the word “astrobiology”) and the ones attached at the end of the word are called suffixes (e.g. “ful” in the word “helpful”). The problem is that affixes can create or expand new forms of the same word (called inflectional affixes), or even create new words themselves (called derivational affixes). In English, prefixes are always derivational (the affix creates a new word as in the example of the prefix “eco” in the word “ecosystem”), but suffixes can be derivational (the affix creates a new word as in the example of the suffix “ist” in the word “guitarist”) or inflectional (the affix creates a new form of word as in the example of the suffix “er” in the word “faster”). Ok, so how can we tell the difference and chop the right bit? A possible approach is to consider a list of common affixes and rules (Python and R languages have different libraries containing affixes and methods) and perform stemming based on them, but of course, this approach presents limitations. Since stemmers use algorithmics approaches, the result of the stemming process may not be an actual word or even change the word (and sentence) meaning. To offset this effect you can edit thosealgorithmic predefined methods by adding or removing affixes and rules, but you must consider that you might be improving the performance in one area while producing a degradation in another one. Always look at the whole picture and test your model’s performance. So if stemming has serious limitations, why do we use it? First of all, it can be used to correct spelling errors from the tokens. Stemmers are simple to use and run very fast (they perform simple operations on a string), and if speed and performance are important in the NLP model, then stemming is certainly the way to go. Remember, we use it with the objective of improving our performance, not as a grammar exercise. Has the objective of reducing a word to its base form and grouping together different forms of the same word. For example, verbs in past tense are changed into the present (e.g. “went” is changed to “go”) and synonyms are unified (e.g. “best” is changed to “good”), hence standardizing words with similar meaning to their root. Although it seems closely related to the stemming process, lemmatization uses a different approach to reach the root forms of words. Lemmatization resolves words to their dictionary form (known as lemma) for which it requires detailed dictionaries in which the algorithm can look into and link words to their corresponding lemmas. For example, the words “running”, “runs” and “ran” are all forms of the word “run”, so “run” is the lemma of all the previous words. Lemmatization also takes into consideration the context of the word in order to solve other problems like disambiguation, which means it can discriminate between identical words that have different meanings depending on the specific context. Think about words like “bat” (which can correspond to the animal or to the metal/wooden club used in baseball) or “bank” (corresponding to the financial institution or to the land alongside a body of water). By providing a part-of-speech parameter to a word ( whether it is a noun, a verb, and so on) it’s possible to define a role for that word in the sentence and remove disambiguation. As you might have already pictured, lemmatization is a much more resource-intensive task than performing a stemming process. At the same time, since it requires more knowledge about the language structure than a stemming approach, it demands more computational power than setting up or adapting a stemming algorithm. Is as a method for uncovering hidden structures in sets of texts or documents. In essence, it clusters texts to discover latent topics based on their contents, processing individual words and assigning them values based on their distribution. This technique is based on the assumptions that each document consists of a mixture of topics and that each topic consists of a set of words, which means that if we can spot these hidden topics we can unlock the meaning of our texts. Assigning each word to a random topic, where the user defines the number of topics it wishes to uncover. 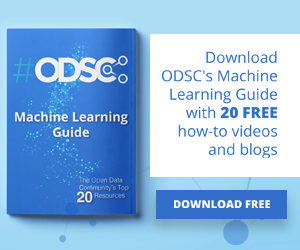 You don’t define the topics themselves (you define just the number of topics) and the algorithm will map all documents to the topics in a way that words in each document are mostly captured by those imaginary topics. The algorithm goes through each word iteratively and reassigns the word to a topic taking into considerations the probability that the word belongs to a topic, and the probability that the document will be generated by a topic. These probabilities are calculated multiple times, until the convergence of the algorithm. 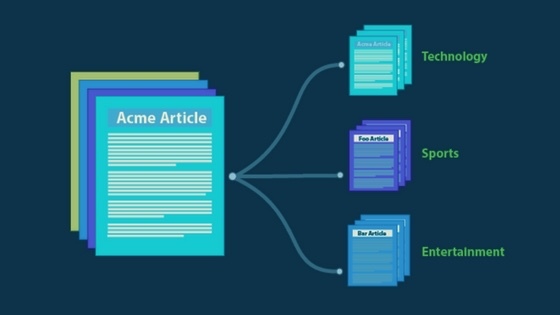 Unlike other clustering algorithms like K-means that perform hard clustering (where topics are disjointed), LDA assigns each document to a mixture of topics, which means that each document can be described by one or more topics (e.g. Document 1 is described by 70% of topic A, 20% of topic B and 10% of topic C) and reflect more realistic results. Topic modeling is extremely useful for classifying texts, building recommender systems (e.g. to recommend you books based on your past readings) or even detecting trends in online publications. Interested in these topics? 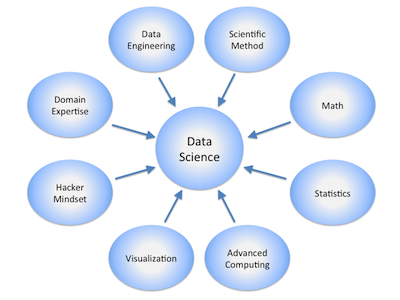 Follow me on Twitter at @lopezyse where I post all about Data Science, Technology, and the most interesting advances! Editor’s note: Want to learn more about NLP in-person? 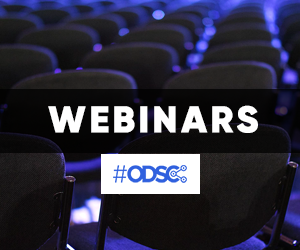 Attend ODSC East 2019 in Boston this April 30-May 3 and learn directly from the experts!